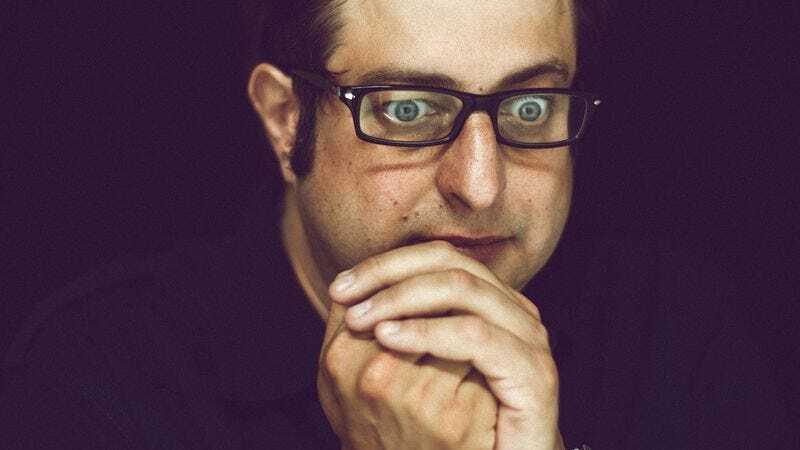 Next week Sub Pop will release Eugene Mirman’s latest comedy album, I’m Sorry (You’re Welcome), which comes in many shapes and sizes. While The A.V. Club has yet to find a way to stream a $1,200 armchair with an embeddable audio player or a $225 bathrobe, we are bringing you the album’s main feature a full week in advance of its release. Though this is just a portion of the full experience—which is lovingly collected in a seven-record box set—it shows Mirman in peak form. Whether he’s signing up for Christian Mingle or forced into using an unfortunate password at a bar, it’s the latest entry in Mirman’s absurd discography. And for those looking for some last-minute costume ideas, he’s got some off-kilter recommendations.